Thanks to Robert Presuto for a great buying experience. I am so impressed with the customer service provided by the Flemington team, and I’m very happy with my new Q50. I enjoy working with this dealership. They really treat you well. If it will be a longer time for you to wait, then they come and tell you immediately. They tell you up front what your costs will be if they have to replace or fix a part on your car. My car is 5 yrs old and I have never been dissatisfied with their customer service. I highly recommend them. The buying experience was very easy. The sales manager, Steve Kiley was great a well as my salesperson, Robert. The closing ws handled by David. All in all, I very easy, successful experience. Flemington INFINITI carries an impressive selection of new and pre-owned cars, crossovers and SUVs in Flemington, NJ. No matter what vehicle you might have in mind, we’ve got the perfect fit for you. If you’re looking to lease your next INFINITI, at Flemington INFINITI, INFINITI Dealer in NJ, we have competitive lease specials on new INFINITI vehicles. 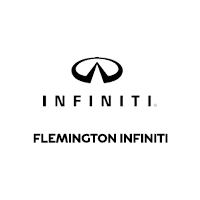 Flemington INFINITI , INFINITI dealer near you also has an extensive collection of quality pre-owned and certified vehicles at affordable prices. Whether you’re looking for new or INFINITI Certified pre-owned, Flemington INFINITI is your trusted dealership in Flemington, NJ as well as the Bridgewater, Princeton and Doylestown areas. We look forward to seeing you soon. Our dedicated sales consultants are here to assist you every step of the way during your shopping experience at Flemington INFINITI. We are here to answer any questions and help you find the perfect new INFINITI at Flemington INFINITI. Our distinguished service consultants are here to provide an exceptional experience. With expertly trained technicians, no one knows your INFINITI better than we do, ensuring your INFINITI is always in good hands.